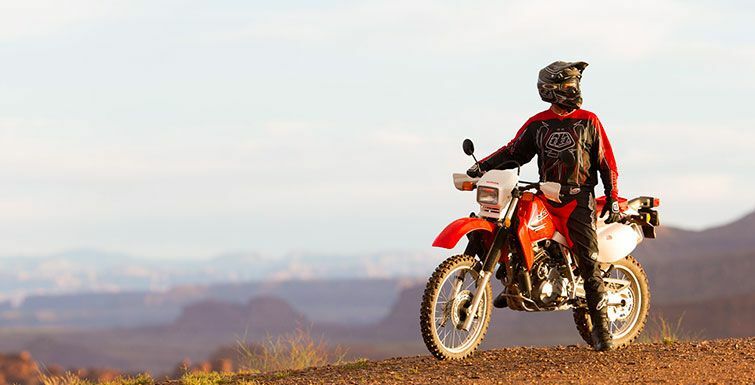 18-INCH REAR WHEEL: 18 inch rear wheel gives you a better overall ride and more sidewall protection against flats, and still offers a wide choice of on- or off-road tires. 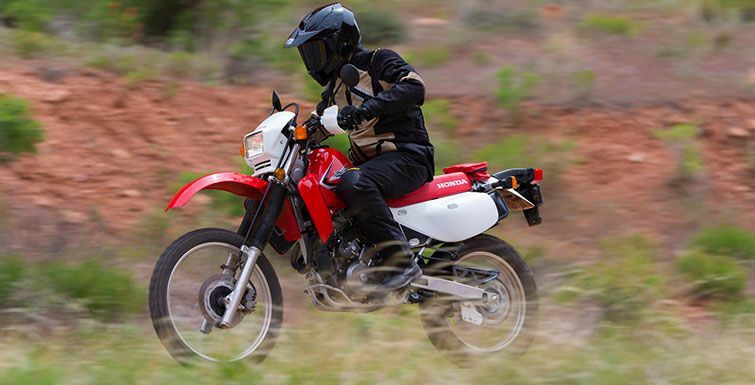 PASSENGER READY: With a passenger grab strap, folding passenger pegs, a long MX-style seat and plenty of Honda power, the XR650L lets you carry a passenger with ease. 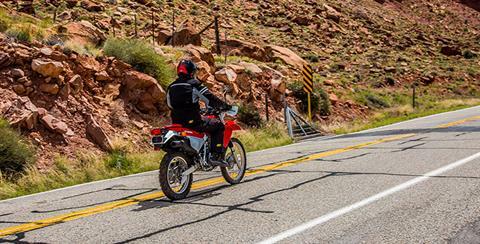 SEALED BATTERY: No maintenance hassles here, even in case of an off-road tip over. 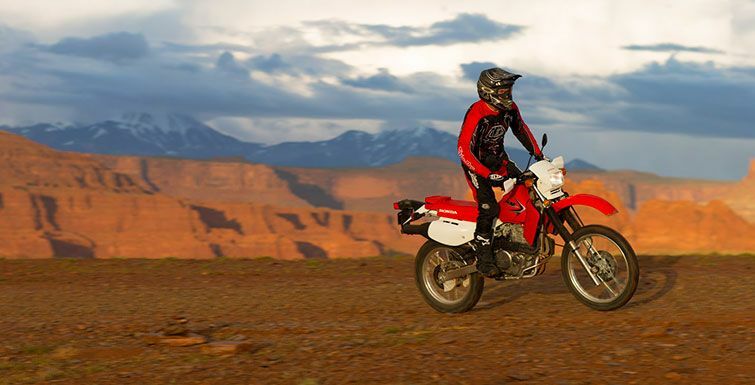 The sealed battery has plenty of cranking power for the electric starter, and is well protected from the vibrations of off-road riding. 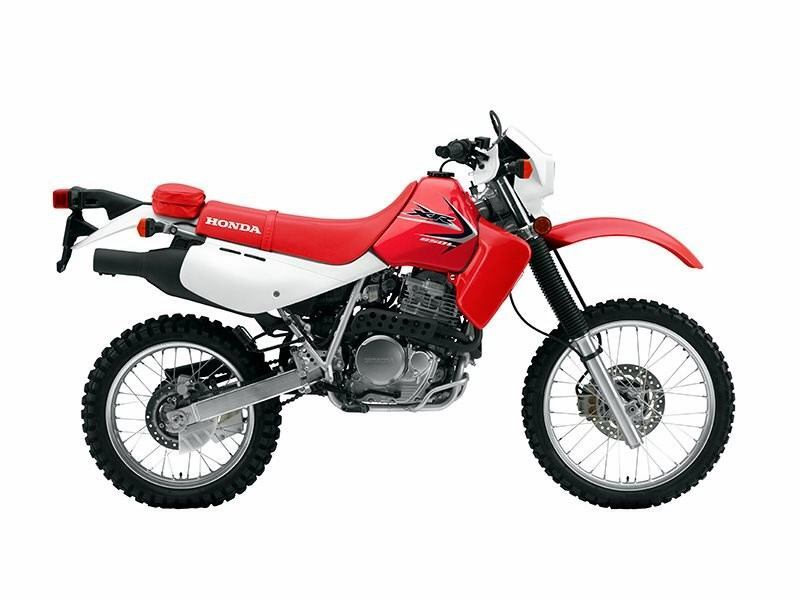 PRO-LINK® REAR SUSPENSION: Honda’s Pro-Link® rear suspension system offers compliant and comfortable ride quality with a high level of wheel control. Initial rates are soft for supple action over small bumps and ripples, while increasingly stiffer rates resist bottoming and maintain rear-wheel control over rougher surfaces. 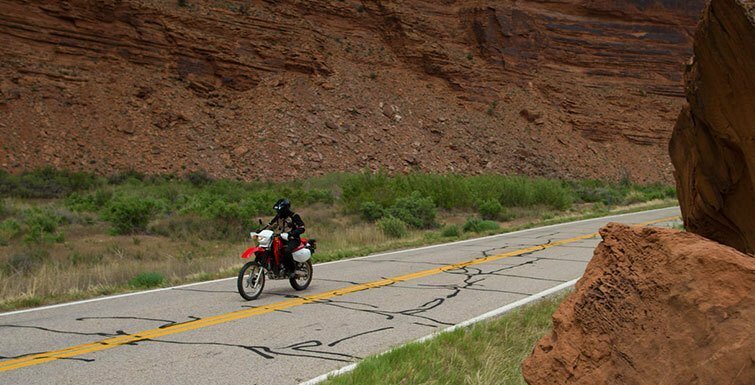 DRY-SUMP LUBRICATION: Dry-sump design keeps the engine compact and eliminates the oil pan for superior ground clearance and damage resistance. With the engine oil in the frame, the frame itself acts like a giant oil cooler. STEEL FRAME: The XR650L’s steel frame is designed to handle the intensity of off-road travel. 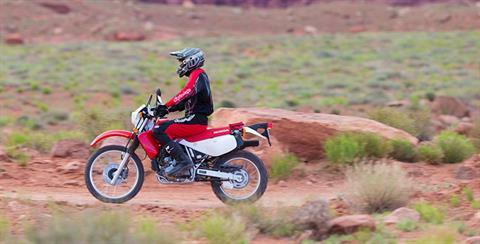 Plus, the frame’s backbone doubles as the engine’s oil tank, saving weight and space. FOUR-STROKE ENGINE: Four-stroke, single-cylinder engine offers good fuel efficiency and a wide powerband. The XR650L’s proven powerplant requires very little maintenance. 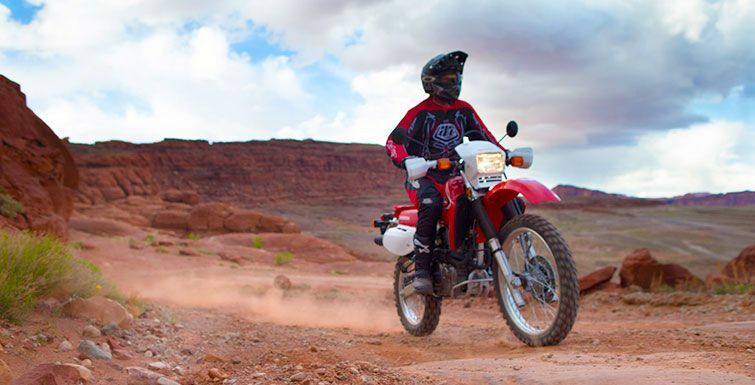 ELECTRIC STARTER: Adventure is just a push of the button away. 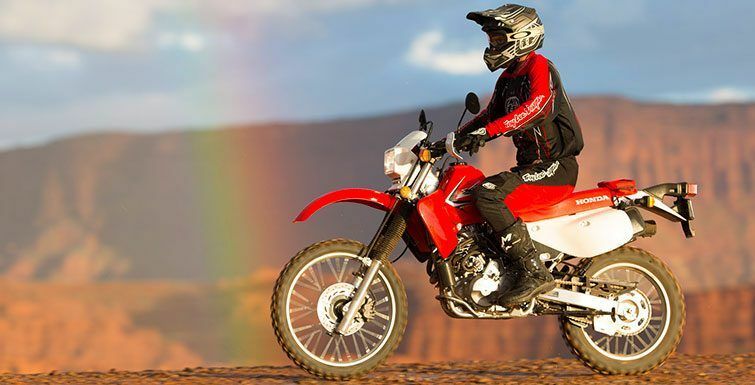 The XR650L’s electric starter takes all the drama out of restarting off-road, or getting underway on a cold morning or after the bike’s been sitting all week. 21-INCH FRONT WHEEL: The 21-inch front wheel gives you a wide choice of tire selection for different riding conditions. 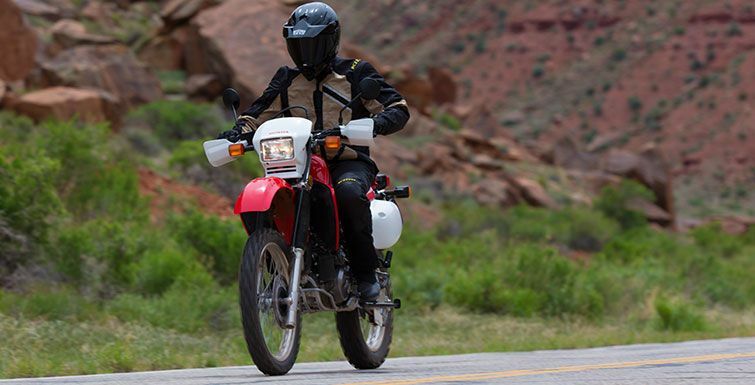 STREET-LEGAL FEATURES: Fully equipped for the street, including turn signals, license-plate light, mirrors, speedometer and more. 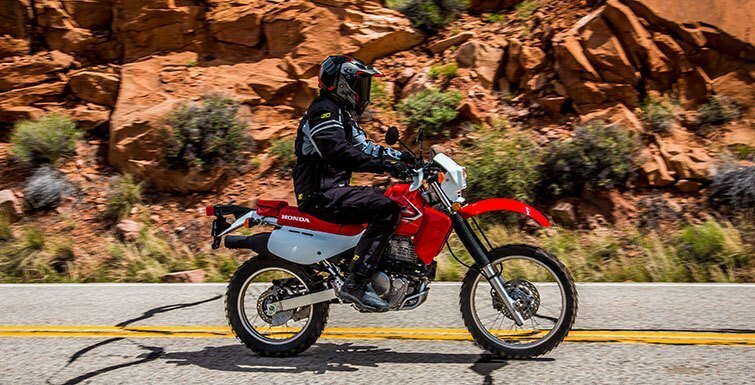 There’s even a grab strap and footpegs for a passenger. LONG-TRAVEL FRONT SUSPENSION: With a full 11.6 inches of travel, the air-adjustable 43 mm fork also offers 16-position compression damping adjustability, letting you fine-tune it to deal with the bumps of off-road riding. DISC BRAKES: Front- and rear-disc brakes provide superior stopping power. Both front and rear disc rotors are drilled for lightness and better wet-weather performance.